A half-day trip at Keltneyburn is an ideal canyoning spot for those who are relatively new to the sport. 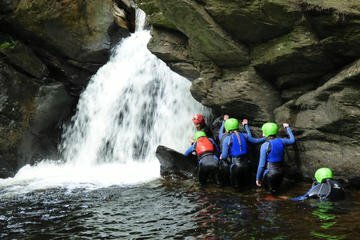 Here you can test the waters with gorge walking, jumping off rocky cliffs, scrambling along rivers and sliding down river chutes. Adrenaline will flow and excitement will be had!